Looking "where to sell my Delorean DMC-12?" Ask the Chicago Car Club! Are you wondering "where to sell my Delorean DMC-12 ?" The Chicago Car Club is interested in classic cars of all makes and models, especially a Delorean DMC-12. We make the process of selling your Delorean DMC-12 quick and painless. In just a matter of hours we will have your classic valued and, if you do so choose, turned into money in your pocket. All it takes is a phone call or electronic inquiry to get the ball rolling. 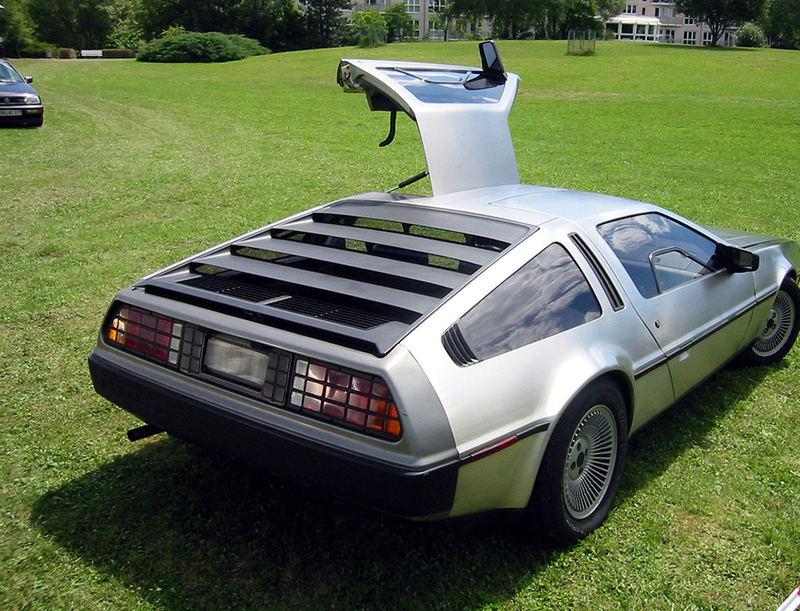 The DeLorean featured a 2849 cc Peugeot-Renault-Volvo 2.85 litre V6 engine. It was available with a 5-speed manual transmission or a 3-speed automatic transmission. The DMC-12’s had four-wheel independent suspension with coil springs, and telescopic shock absorbers. The front end of the car utilized a double wishbones while the rear suspension used a multi-link setup. DMC-12s had 14×6” cast alloy wheels up front while the rear was fitted with 15×8” inch. The DMC-12 braking system consisted of power-assisted disk brakes at all four corners. During performance testing, the DMC-12 fitted with a manual transmission achieved 0-60 mph in about 9 seconds while the automatic transmission could achieve 0-60 mph in 10.5 seconds. In 1981, the DMC-12’s suggested retail price was around $25,000. There were only two factory options at the time; an automatic transmission or no-cost manual, and an interior option of black or grey.